Just about 50 kilometres, a short drive north of Lisbon, is situated this amazing surfer’s spot Ericera with outstanding surf breaks and beautiful countryside. This is a place which you can’t miss during your surf trip in Portugal. There is also a direct highway from Lisbon to Ericeira. 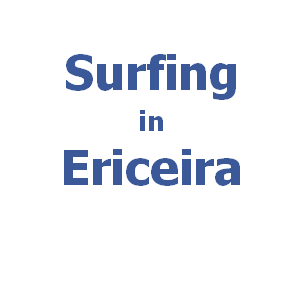 Ericeira is considered like a World Surfing Reserve. This is a program of Save the Waves Coalition and serves as a global model for preserving wave breaks and their surrounding areas by recognizing the positive environmental, cultural, economic and community benefits of surfing areas. Moreover, one of the first and biggest surfing clubs in Portugal was found in Ericeira in 1993 and since that have organized various competitions and events in surf. Ericeira is also the home surf spot of Tiago Pires, the best known Portuguese surfer, who was competing in the World Surf League from 2008-2014. This is a world-class surf zone, where just in few km of coastline is variety of great surf breaks. If you want to experience the Portuguese treasure in Coxos or just see some awesome surf performance, come to surf in Ericeira. Starting your surf adventure from the north of Ericeira the first spot you will discover is Săo Lourenço. This beach can be good for beginners. Sandy bottom, not too much crowd and even Tiago Pires learnt to surf at Săo Lourenço. You can try to follow in his footsteps. There are more peaks, but the most consistent is the heavy, long right. The best are northwest swells and east wind, which work the best at middle tide. Just next to Săo Lourenço is one of the most famous waves in Europe called Coxos. Lots of surfers consider this epic right-hand barrel to be the best wave in Portugal. Coxos is a point break which outcrops into a small bay. It is appropriate to really experienced surfers. The wave is powerful, hollow, fast and long. Can be difficult to enter and exit over the rocks. You can see the best surfer’s challenging this wave. Good conditions for Coxos can be with west or northwest swells and east wind. This surf spot works the best at low and middle tide. Do you prefer left-hand waves? Try the Crazy Left just next to Coxos on the south side. This is another challenging barrel in Ericeira. Crazy Left is not very consistent. It works well with southwest swell, east wind and only at high tide. But when it works, it is one of the craziest lefts in Portugal. Going to the south of Coxos Bay every surfer will get difficult testing. This surfer’s test is called Cave. Anyone who wants to surf this right needs lots of surf experience. Cave is also called Sete Bafos (Seven Spits), because the wave is allways throwing huge spray spits from the hollow barrels. Seven Spits is fast, hollow and heavy. It has rocky bottom and it is shallow. The best conditions for Cave comes with east wind and west or northwest swell. It is working at low and rising tide. Another surf spot in Ericeira is the most famous Ribeira d’Ilhas. It was the first place in Portugal to host a surf chamionship. In 2014 Portuguese surfer Vasco Ribeiro won the ASP Men’s Junior Tour on this surf place in Ericeira. This is one of the best right-handers in Portugal. Known like a very long, classic wave, which longboarders enjoy a lot. Various surf championships take place here. The access to the water is easier than at other spots around, thus this waves are for all levels of surfers. It just takes a bit to paddle out and it can be crowded. But when it is a good day, this is a long ride full of fun. Ribeira d’Ilhas is a consistent wave and starts working with small swells. Surfing here is great all the year. Working at all tides, but better might be the middle tide. The best conditions for Ribeira d’Ilhas are with east wind and west or northwest swells. Next to Ribeira d’Ilhas is Praia da Empa with another epic right-hander, fast and powerful wave called Reef and a left-hand wave Pedra Branca. Reef as the name suggest is a reef break and it is just for surfers with experience. This is a right-hander barrel, short, hollow, with narrow peak and pretty fast. To be working well it needs to be east or southeast wind and west or northwest swell. The best is a low tide, rising till the middle tide. On the other hand, Pedra Branca is a left hand point break. The same as Reef this wave is just for surfers who are able to do a proper fast take off and have a good level of surfing. Little bit longer than Reef and it is powerful, hollow and fast wave, too. This is an adventure surfing. Pedra Branca best conditions are with east and northeast winds combined with west and southwest swells. The best tide position is in the middle at rising tide. Matadouro is a nice place for intermediate surfers. You need to be careful about the rocks. With east wind and west swell there is a good left for improving your surfing skills. One of the spots easily accessible from the centre of Ericeira is Praia do Norte. North Beach in English, also called Algodio or simply known like “a praia” – “the beach”. This surf spot can be for all levels of surfers, but watch out for rocks. It is just working with big swell from the west and the best is low and middle tide. To the south, on the other side of Ericeira jetty is Praia do Sul with surf spots called Furnas and Pico do Futuro. These waves are working well with big swells. Pico do Futuro used to be a secreat spot in Ericeira. Just for experienced surfers. It is not very consistent, just works with east wind and big west swell. Foz do Lizandro is a beach break with several peaks, sandy bottom and with small swell it works well for beginners in surfing. During good days it is possible to catch a long ride with some barrels. Foz do Lizandro is working with all tides, probably the best is a falling tide. Come to surf here when it is east wind and northwest swell. These are very consistent waves. Another option for funny surf session is the south surf spot of Săo Juliăo. This is a beach with sandy bottom, consistent waves, rights and lefts. Possibility to surf for all the levels and it is working with a small swell. The best conditions for surfing at Săo Juliăo are with east wind and west or northwest swell. Surf it during a low tide and rising tide.